What is a Fixed-Rate Loan, and which one should I choose? Fixed-Rate Loans are available in 10-, 15-, 20-, or 30-year terms. Principal and interest payments remain unchanged for the life of the loan. The longer your term, the lower your payment may be. Shorter loan terms may help you to build equity quicker, but your monthly payment will be higher. An Adjustable-Rate Mortgage (ARM) offers a lower initial interest rate with the trade-off that the interest rate can change periodically, so your monthly payment could go up or down accordingly. Ask us about an ARM and if it’s right for you. Should I choose a Fixed- or Adjustable-Rate Home Loan? With a Fixed-Rate Loan, you know your principal and interest payment during the entire term of the loan, whereas an ARM offers a lower initial interest rate than most fixed-rate loans. The trade-off is that the interest rate on an ARM can change periodically, usually in relation to an index, and the monthly payment will go up or down accordingly. Check out ARM vs. Fixed-Rate Mortgage in Home Calculators to compare. How much money will I save by choosing a 15-year rather than a 30-year Home Loan? A 15-year Fixed-Rate Loan gives you the ability to own your home free and clear in 15 years. While the monthly payments are higher than a 30-year loan, the interest rate on the 15-year mortgage is usually lower. More important — you'll pay less than half the total interest cost of the traditional 30-year mortgage. Many borrowers find the higher payment out of reach and choose a 30-year mortgage. It still makes sense to use a 30-year mortgage for most people. The 15-year Fixed-Rate Loan is most popular among homebuyers with sufficient income to meet the higher monthly payments, and they want to quickly build equity or pay off the loan. Who should consider a 15-year Home Loan? What are the advantages and disadvantages of a 15-year loan? You own your home in half the time it would take with a traditional 30-year mortgage. You save more than half the amount of interest of a 30-year mortgage. Typically, a 15-year mortgage has a slightly lower interest rate than 30-year loans — typically up to .5 percent lower. It is this lower interest rate added to the shorter loan life that creates real savings for 15-year fixed-rate borrowers. The monthly payments for this type of loan are roughly 10 to 15 percent higher per month than the payment for a 30-year Home Loan. Because you'll pay less total interest on the 15-year fixed-rate mortgage, you won't have the maximum mortgage interest tax deduction possible. Use the Mortgage Comparison: 15 years vs. 30 years calculator to help decide the best loan term for you. What is the maximum percentage of my home's value I can borrow? The maximum percentage of your home's value depends on the purpose of your loan, how you use the property, and the loan type you choose, so the best way to determine what loan amount we can offer is to apply online; email CEFCU; call 309.633.3424 or 1.800.633.7077, ext. 33424; or visit a Member Center. Can I refinance an existing loan with CEFCU? Yes. For more information, please contact CEFCU by email; call 309.633.3424 or 1.800.633.7077, ext. 33424; or visit a Member Center. What is needed for the final approval of my Home Loan? Because the value and marketability of condominium properties is dependent on items that don't apply to single-family homes, there are some additional steps that must be taken to determine if condominiums meet CEFCU's guidelines. One of the most important factors is determining if the project the condominium is located in is complete. In many cases, it will be necessary for the project, or at least the phase your unit is located in, to be complete before financing can be provided. The main reason for this is, until the project is complete, we can't be certain the remaining units will be of the same quality as the existing units. This could affect the marketability of your home. In addition, we'll consider the ratio of non-owner occupied units to owner-occupied units. This could also affect future marketability because many people would prefer to live in a project occupied by owners rather than renters. We'll also carefully review the appraisal to ensure that it includes comparable sales of properties within the project, as well as some from outside the project. Our experience has found that using comparable sales from both the same project as well as other projects gives us a better idea of the condominium project's marketability. Depending on the percentage of the property's value you would like to finance, other items — such as condominium bylaws, letter of no special assessments, and a master insurance policy — will need to be reviewed. Interest rates fluctuate based on a variety of factors — including inflation, the pace of economic growth, and Federal Reserve policy. Over time, inflation has the largest influence on the level of interest rates. A modest rate of inflation usually leads to low interest rates, while concerns about rising inflation can cause interest rates to increase. Where can I find current interest rates on CEFCU.com? You can find a selection of Home Loan rates on the Home Loan Rates page. In addition, complete this form for a detailed list of current rates. Points are fees that are collected by the lender in exchange for a lower interest rate. Each point is equal to 1 percent of the loan amount. Use the points calculator to see whether it makes sense for you to pay discount points by comparing the cost of the discount points to monthly payments savings. If you are refinancing your home, partial points are charged for a cash-out refinance. If you are borrowing more than 75% of the home’s value (LTV), a .75% fee is charged. This fee does not discount the rate of the loan. Can I apply for a Home Loan before I find a property to purchase? Yes, applying for a mortgage loan before you find a home may be the best thing you could do! If you apply for your mortgage now, CEFCU will issue an approval subject to you finding the perfect home. CEFCU will issue a preapproval letter online instantly, or you can contact CEFCU to get your preapproval letter offline. You can use the preapproval letter to assure real estate brokers and sellers you are a qualified buyer. Having a preapproval for a mortgage may give more weight to any offer to purchase you make. When you find the perfect home, you'll simply call your Mortgage Originator to complete your application. You'll have an opportunity to lock in our great rates and fees then and we'll complete the processing of your request. Can I apply for my Home Loan online? Yes. Loan @ Home allows you apply online 24/7. It's convenient and secure with step-by-step instructions to guide you through the process. Why should I get preapproved for a Home Loan? Preapproval means you can shop for a home knowing how much you can afford. Preapproval shows the seller that you're serious and prepared — and able — to buy. And finalizing your Home Loan application will probably take less time because much of your information is already in place. If you are planning to buy a home, the CEFCU Home Loan Application Checklist shows you what to have for you interview. Use the Construction Loan Interview Checklist if you are planning to build home. Depending on the type of loan you're applying for, we could ask for supplemental documentation. E-mail mortgages@cefcu.com for further information. Why do you need to call me prior to my appointment? A Mortgage Originator may call you prior to your in-person appointment to obtain preliminary information, which will enable them to research any costs associated with the Home Loan, and which will be provided to you on the Good Faith Estimate. At the time of the in-person application appointment, your Originator will review these costs and forms with you. The interest rate market is subject to movements without advance notice. Locking in a rate protects you from the time your lock is confirmed to the day your lock period expires. The typical lock is 60 days and starts with the day of your application. CEFCU also offers Smart Lock,* a 90-day rate lock. Can lock your rate for 90 days when you apply for preapproval and pay a non-refundable $350 application fee. Continue shopping for the perfect home. Close on your new home within 90 days of locking the rate. It's that easy! Don't worry about your rate while you shop for a home. Get Smart Lock! *Smart Lock available for mortgages used for the purchase of a primary or retirement home; it does not apply to Construction Loans. How can I lock my rate? You can lock your rate online; by phone at 309.633.3424 or 1.800.633.7077, ext. 33424; or in person at a Member Center. Immediately after you apply online and lock your rate, a printable confirmation page is displayed for your records. In addition, a confirmation is sent to the email address you provided during your online application. If you lock your rate by phone or in person, you will receive a letter of confirmation. Do you have any tools I can use to calculate my payments? We have calculators designed to help you compute how much you can afford and which Home Loan may be right for you. We encourage you to use our calculators, then contact us if you have any questions. Yes. 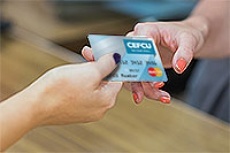 CEFCU Online Banking allows you to transfer your loan payment directly from another CEFCU account. Is it possible to make a Lump Sum Payment? If you apply a lump sum toward your principal balance, you may qualify to reduce your future monthly principal and interest payments for the remainder of your loan's original term without the expense of refinancing. Your loan term and rate will remain the same. Restrictions may apply, so email CEFCU or call 309.633.3424 or 1.800.633.7077, ext. 33424, for details. Are there prepayment penalties if I pay off my loan early? We don’t charge prepayment penalties on any of our Home Loans. You can pay off your CEFCU Home Loan at any time. May I make my monthly payments from my checking account? An automated payment application will be provided at closing. Simply sign and return it at your earliest convenience to enroll in the automated payment program. A credit score is one of the pieces of information CEFCU will use to evaluate your application. Financial institutions have been using credit scores to evaluate credit applications for many years. Credit scores are based on information collected by credit bureaus and information reported each month by your creditors about the balances you owe and the timing of your payments. A credit score is a compilation of all this information converted into a number that helps a lender to determine the likelihood you will repay the loan on schedule. The credit score is calculated by the credit bureau, not by the lender. Credit scores are calculated by comparing your credit history with millions of other consumers. They have proven to be a very effective way of determining credit worthiness. Credit scores used for mortgage loan decisions range from approximately 300 to 900. Generally, the higher your credit score, the lower the risk your payments won't be paid as agreed. Using credit scores to evaluate your credit history allows CEFCU to quickly and objectively evaluate your credit history when reviewing your loan application. However, there are many other factors when making a loan decision, and CEFCU never evaluates an application without looking at the total financial picture of a member. I've co-signed a loan for another person. Should I include that debt on the application? Generally, a co-signed debt is considered when determining your qualifications for a mortgage. If the co-signed debt doesn't affect your ability to obtain a new mortgage, we'll leave it at that. However, if it makes a difference, we can ignore the monthly payment of the co-signed debt if you can provide verification the person responsible for the debt has made the required payments by obtaining copies of canceled payment checks for the last six months. Any student loan should be included in the application. If you aren’t sure exactly what the monthly payment will be at this time, enter an estimated amount. An abundance of credit inquiries can sometimes affect your credit scores because it may indicate your use of credit is increasing. But don't overreact! The data used to calculate your credit score doesn't include any mortgage or auto loan credit inquiries made within the 30 days prior to the score being calculated. In addition, all mortgage inquiries made in any 14-day period are always considered one inquiry. Don't limit your mortgage shopping for fear of the effect on your credit score. If you've had a bankruptcy or foreclosure in the past, it may affect your ability to get a new mortgage. Written explanation outlining the circumstances of the bankruptcy and/or foreclosure will be requested to determine application decision. Unless the bankruptcy or foreclosure was caused by situations beyond your control, CEFCU will generally require that two to four years have passed since the bankruptcy or foreclosure. It is also important you've re-established an acceptable credit history with new loans or credit cards. An installment debt is a loan that you make payments on – such as an auto loan, a student loan, or a debt consolidation loan. Do not include payments on other living expenses, such as insurance costs or medical bill payments. We'll include any installment debts that have more than 10 months remaining when determining your qualifications for this mortgage. There is no charge to you for the credit information CEFCU will access with your permission to evaluate your application. You will only be charged for a credit report if you decide to complete the application. Having changed employers frequently is typically not a hindrance to obtaining a new mortgage loan. This is particularly true if you made employment changes without having periods of time in between without employment. We'll also look at your income advancements as you have changed employment. If you're paid on a commission basis, it may be more difficult to figure your earnings without a history with your new employer. If you were in school before your current job, enter the name of the school you attended and the length of time you were in school in the length of employment fields. You can enter a position of student and income of 0. CEFCU will review and average the net income from self-employment reported on your tax returns to determine the income that can be used to qualify. We won't be able to consider any income that hasn't been reported as such on your tax returns. CEFCU will need a full two-year history of self-employment to verify your self-employment income is stable. In order for bonus, overtime, or commission income to be considered, you must have a history of receiving it, and it must be likely to continue. We'll usually need to obtain copies of W-2 statements for the previous two years and a recent pay stub to verify this type of income. If a major part of your income is commission earnings, we will need to obtain copies of recent tax returns to verify the amount of business-related expenses, if any. We'll average the amounts you have received over the past two years to calculate the amount that can be considered as a regular part of your income. I am retired, and my income is from pension or Social Security. What will I need to provide? CEFCU will request copies of your recent pension check stubs, or bank statement if your pension or retirement income is deposited directly in your bank account. Sometimes it will also be necessary to verify this income will continue for at least three years because some pension or retirement plans do not provide income for life. This can usually be verified with a copy of your award letter. If you don't have an award letter, we can contact the source of this income directly for verification. If you own rental properties, you will generally be asked for the most recent year's federal tax return to verify your rental income. We'll review the Schedule E of the tax return to verify your rental income, after all expenses except depreciation. Because depreciation is only a paper loss, it won't be counted against your rental income. If you haven't owned the rental property for a complete tax year, you will be asked for a copy of any leases you've executed, and the expenses of ownership will be estimated. Do I have to provide information about my child support, alimony, or separate maintenance income? Information about child support, alimony, or separate maintenance income does not need to be provided unless you wish to have it considered for repaying this Home Loan. Generally, two years personal tax returns are required to verify the amount of your dividend and/or interest income so an average of the amounts you receive can be calculated. In addition, we will need to verify your ownership of the assets that generate the income using copies of statements from your financial institution, brokerage statements, stock certificates or Promissory Notes. Typically, income from dividends and/or interest must be expected to continue for at least three years to be considered for repayment. I am relocating because I have accepted a job with a new employer that I haven't started yet. How should I complete the application? Congratulations on your new job! Complete the application identifying the new employer as if this were your current employer and indicate you have been there for one month. Enter the income you will be receiving at your new location. The information about the employment you'll be leaving should be entered as a previous employer. Documentation needed includes job letter from your new employer stating start date, new position, and starting salary. If you're selling your current home to purchase your new home, you will be asked to provide a copy of the settlement or closing statement you'll receive at the closing to verify your current mortgage has been paid in full and you'll have sufficient funds for our closing. Often the closing of your current home is scheduled for the same day as the closing of your new home. If that's the case, you will be asked to bring your settlement statement with you to your new mortgage closing. I'm getting a gift from someone. Is this an acceptable source for a down payment? Gifts are an acceptable source of down payment if the gift giver is related to you or your co-borrower. You will be asked for the name, address, and phone number of the gift giver, as well as the donor's relationship to you. If your loan request is for more than 80 percent of the purchase price, it will need to be verified you have at least 5 percent of the property's value in your own assets. Before closing, we will need to be verified the gift funds have been transferred to you. Can I really borrow funds to use toward my down payment? 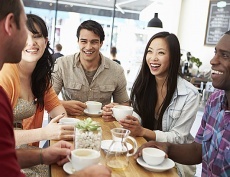 Yes, you can borrow funds to use as your down payment! However, any loans you take out must be secured by an asset you own. If you own something of value you could borrow funds against, such as a car or another home, it's a perfectly acceptable source of funds. If you are planning on obtaining a loan, make sure to include the details of this loan in the Expenses section of the application. Do you have programs that offer down payment assistance? Yes. CEFCU is a lender participant in a program administered through the Federal Home Loan Bank of Chicago that provides down payment assistance. Contact a CEFCU Home Loan Representative for more information. You also can check with your local city/county to see if there are any local programs that provide down payment assistance. If my property's appraised value is more than the purchase price, may I use the difference toward my down payment? Unfortunately, if you are purchasing a home, the lower of the appraised value or the sales price will need to be used to determine your down payment requirement. It's still a great benefit for your financial situation if you are able to purchase a home for less than the appraised value, but market guidelines do not allow us to use this "instant equity" when making our loan decision. How long does it take to close a Home Loan? Typically, it takes approximately 30 days from the time you submit a completed application to closing. It can take less, and at times, CEFCU has closed Home Loans in as little as seven days. We will work with you to streamline the process and meet the contract date on purchases and Construction Loans. For specific information, email CEFCU; call 309.633.3424 or 1.800.633.7077, ext. 33424; or visit a Member Center. CEFCU takes full advantage of an automated underwriting system that allows us to request as little information as possible to verify the data you provided during your loan application. Gone are the days when it was necessary to verify every piece of data collected during the application. The automated underwriting system compares your financial situation with statistical data from millions of other homeowners and uses that comparison to determine the level of verification needed. In many cases, a single W-2 and pay stub can be used to verify your income or a single bank statement can be used to verify the assets needed to close your loan. A home loan often involves many fees — such as the appraisal fee, title charges, closing fees, and state or local taxes. These fees vary from state to state and also from lender to lender. Third-Party Fees: These include the appraisal fee, credit report fee, settlement or closing fee, survey fee, tax service fees, title insurance fees, flood certification fees, and courier/mailing fees. Third-party fees are collected and passed on to the person who performed the service. Taxes and other unavoidables: Taxes and other unavoidables include State/Local Taxes and recording fees. Lender Fees: These include discount points, document preparation fees, and loan processing fees. This is the category of fees you should compare very closely from lender to lender before making a decision. Required Advances: You may be asked to prepay some items at closing that will actually be due in the future. These fees are sometimes referred to as prepaid items. How long is my Loan Estimate good? CEFCU will honor the fees listed on the estimate for 10 business days. If you notify CEFCU of your intent to continue with your Home Loan application within the 10 business days, the fees listed on your estimate will be honored at the loan closing, unless you change your loan request or other changed circumstances occur. When does the Loan Estimate expire? If intent is not given to proceed with the loan, the Loan Estimate expires after 10 business days. Should I expect the Loan Estimate to list the exact charges I will pay at closing? The Loan Estimate is only a range of charges because the lender may not know something like the costs for a settlement agent chosen by you or the seller. The exact amount that will be collected for an escrow account for taxes and insurance are determined based on the date your loan closes. What happens if I don't commit to the terms of the Loan Estimate within the 10-day period? If we don’t receive the signed Letter of Intent or verbal statement of intent within the 10-day period, the file and any rate lock will be canceled. To proceed after the 10-day period, a new application may be required, which may be at a different interest rate if the rates have changed. Is a Loan Estimate a loan commitment? No, it’s an estimate of settlement charges only. How long do I have to send my written Letter of Intent to proceed? Let CEFCU know of your intent to proceed with your Home Loan application (written or verbal) within 10 business days. If you provide a verbal intent, then you need to provide your written intent prior to closing, or your loan closing will be delayed. I received a Loan Estimate at application. Why did I receive another Loan Estimate? A Loan Estimate may be re-issued or updated if there is a change in circumstance regarding the loan transaction or property. I’m purchasing a home, and the seller has agreed to pay some of my closing costs. Why are those charges still listed on the Loan Estimate? Regulations requires CEFCU list all fees the borrower typically pays on the Loan Estimate. At the time of closing on the Closing Disclosure, the seller can provide a credit to the borrower for the costs the seller agreed to pay. I previously purchased/refinanced a home, and my closing costs were nowhere near the amount my Good Faith Estimate is now. Why the difference? Due to regulatory changes that took effect on January 1, 2010, and were amended effective October 3, 2015, all lenders are required to disclose all fees associated with a purchase, construction, or refinance of your property on the same standardized form – the Loan Estimate (formerly Good Faith Estimate and TILA). The Loan Estimate form includes one year’s worth of homeowner’s insurance and amounts to start funding an escrow account to pay property taxes and homeowner’s insurance premiums, and some fees, such as the Owner’s Policy the seller may pay. In the past, these fees were not included on Good Faith Estimates. What rights do I have if the charges I must pay at settlement are higher than those listed on the Loan Estimate? The lender is bound by certain tolerances on select closing costs that were provided on the Loan Estimate. The fees on the Loan Estimate have three categories: Zero tolerance, 10% tolerance, and fees that can change. The lender is required to provide you a copy of the Closing Disclosure no less than 3 business days prior to closing. Thoroughly review the Closing Disclosure and question any amount you do not understand. Your Home Loan representative can also help you understand Loan Estimate charges. An appraisal is a required written description and estimate of the value of the property. National standards govern the format and the appraiser's qualifications and credentials. Most states have licensing requirements for appraisers evaluating properties located within their states. The appraiser will create a written report for CEFCU, and you will be given a copy at your loan closing. If you would like to review it earlier, contact CEFCU. Compare qualities of your home with other homes that have sold recently in the same neighborhood. Estimate the replacement cost for the property. Consider rental income that would be generated by the property to help determine the value. When will my appraisal be ordered? CEFCU orders the appraisal once you say you’re ready to proceed with your Home Loan application and the remaining $335 Application Fee is collected from you. For purchase transactions, CEFCU also must receive a purchase contract before the appraisal can be ordered. In addition to verifying your home's value supports your loan request, we'll also verify your home is as marketable as others in the area in case you decide to sell. The features and value of your home will be reviewed then compared to the features of other homes in the neighborhood. The market statistics about your neighborhood will be reviewed, and we will look at the time on the market for homes that have sold recently and verify values are steady or increasing. How long does it take for the appraisal to be completed? Usually it takes five to seven days before the written report is sent to CEFCU. We follow up with the appraiser to ensure it is completed as soon as possible. If you are refinancing, an interior inspection of the home is necessary, and the appraiser will contact you to schedule a viewing appointment. If you don't hear from the appraiser within seven days of the application date, please let us know. If you are purchasing a new home, the appraiser will contact the seller's real estate agent, if applicable, or the seller to schedule an appointment to view the home. As soon as we receive your appraisal, your loan will be updated with the estimated value of the home, and you’ll get a copy of your appraisal at closing. I'm purchasing a home. Do I need a home inspection AND an appraisal? Both a home inspection and an appraisal are designed to protect you against potential issues with your new home. Although they have totally different purposes, it makes the most sense to rely on each to help confirm you have found the perfect home. The appraiser will make note of obvious construction problems — such as termite damage, dry rot, leaking roofs or basements, or other obvious interior or exterior damage. However, appraisers are not construction experts and won't find or report items that are not obvious, and they won't turn on every light switch, run every faucet, or inspect the attic or mechanicals. That's where home inspectors come in. They generally perform a detailed inspection and can educate you about possible concerns or defects with the home. Accompany the inspector during the home inspection. This is your opportunity to gain knowledge of major systems, appliances and fixtures, learn maintenance schedules and tips, and ask questions about the condition of the home. Federal Law requires all lenders investigate whether or not each home financed is in a special flood hazard area as defined by the Federal Emergency Management Agency (FEMA). The law can't stop floods — floods happen anytime, anywhere — but the Flood Disaster Protection Act of 1973 and the National Flood Insurance Reform Act of 1994 help ensure you will be protected from financial losses caused by flooding. CEFCU uses a third-party company specializing in the review of flood maps prepared by FEMA to determine if your home is located in a flood area. If it is, then flood insurance coverage will be required because standard homeowner's insurance doesn't protect you. Both types of policies are issued at the time of closing for a one-time premium, if the loan is a purchase. If you are refinancing your home, you probably already have an owner's policy that was issued when you purchased the property, so it will only require a lender's policy be issued. Before issuing a policy, the title company performs an in-depth search of the public records to determine if anyone other than you has an interest in the property. After a thorough examination of the records, any title problems are usually found and can be cleared up prior to your purchase of the property. Once a title policy is issued, if any claim covered under your policy is ever filed against your property, the title company will pay the legal fees involved in the defense of your rights. 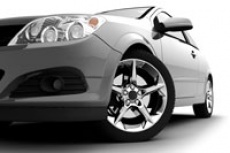 The title company also is responsible to cover losses arising from a valid claim. This protection remains in effect as long as you or your heirs own the property. This risk elimination has benefits to both the homebuyer and the title company. It minimizes the chances adverse claims might be raised, thereby reducing the number of claims that have to be defended or satisfied. This keeps costs down for the title company and the premiums low for the homebuyer. Mortgage insurance makes it possible for you to buy a home with less than a 20 percent down by protecting the lender against the additional risk associated with low-down-payment lending. It also provides you with the ability to buy a more expensive home than might be possible if a 20 percent down payment was required. The mortgage insurance premium is based on loan-to-value ratio, type of loan, and amount of coverage required by the lender. Usually, the premium is included in your monthly payment, and one to two months of the premium is collected as a required advance at closing. It may be possible to cancel private mortgage insurance at some point, such as when your loan balance is reduced to a certain amount — below 75 to 80 percent of the property value. Recent Federal Legislation requires automatic termination of mortgage insurance for many borrowers when their loan balance has been amortized down to 78 percent of the original property value. If you have any questions about when your mortgage insurance could be canceled, please contact CEFCU. If you won't be able to attend the loan closing, contact your Closing Coordinator to discuss other options. If someone you trust is able to attend on your behalf, you can execute a Power of Attorney so that person can sign documents on your behalf. We're sure to have a solution that will work in your circumstances. What should I bring to the closing? Will CEFCU sell my Home Loan? Like most mortgage lenders, CEFCU sells Home Loans to investors, including the Federal National Mortgage Association (Fannie Mae). This allows us to offer affordable Home Loans to more members than we could otherwise. However, CEFCU only sells the debt — never the relationship or the servicing of the loan. Nothing will change in how your Home Loan will work for you. Payments still come to CEFCU, and members of the CEFCU team can help you with any questions or concerns. Recent regulations require a borrower be notified when a Home Loan has been purchased, so you may receive communication from the company that purchased your loan. If CEFCU sells my Home Loan, will the new holder service the loan? No. CEFCU will continue to service your Home Loan. Your Home Loan payments will still come to CEFCU, and members of the CEFCU team can help you with any questions or concerns. Contact CEFCU first if you choose to sell or refinance your home. You can continue to be confident in the strength, soundness, and quality service you get from CEFCU. I am having difficulty making my mortgage payment. What should I do? If you are concerned about making your mortgage payment, we can help. Contact CEFCU so we can work with you on a payment plan. Visit the Housing and Urban Development (HUD) website for information on avoiding foreclosure. Complete the Saving Your Home From Foreclosure tutorial.